Tim Walsh graduated with Honours in Art History from the University of Queensland in 2008 and completed a graduate course in Art & Business at Sotheby’s Institute of Art, London in 2011. 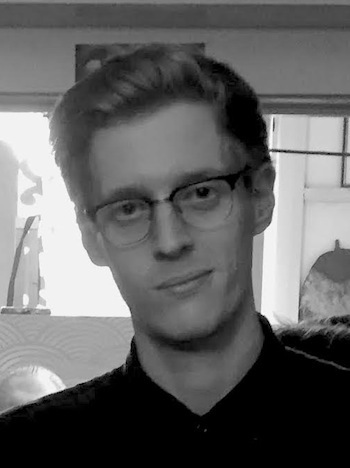 Professionally, Tim was assistant to the Curator (Children’s Art Centre) at the Queensland Art Gallery / Gallery of Modern Art, Brisbane (QAGOMA) from 2008-2011, Communications and Development Officer at Camden Arts Centre, London from 2012-2013 and presently is Gallery Manager, Milani Gallery, Brisbane (2013-). He has also consulted on the art market for ArtTactic, London, an independent art market analysis firm, contributing to and writing market reports on the work of Zarina Hashmi and Pipilotti Rist. Tim also maintains an independent practice as an art, design and architecture critic and writer, contributing to various print and online publications including ArtAsiaPacific, Apollo, thisistomorrow, Eyeline, Dassuperpaper, Artlines and Artlink, as well as catalogue essays on the work of Luke Roberts, Sebastian Moody, Raquel Ormella, Marcel Daniels & Daniel Herberg, Alfredo & Isabel Aquilizan, Sam Cranstoun, Louise Bennett and Timothy P. Kerr. Tim also co-authored Surrealism for Kids, recently translated into French by the Centre Pompidou, Paris.